The Camelot Motor Lodge is easy to find in Central Christchurch. 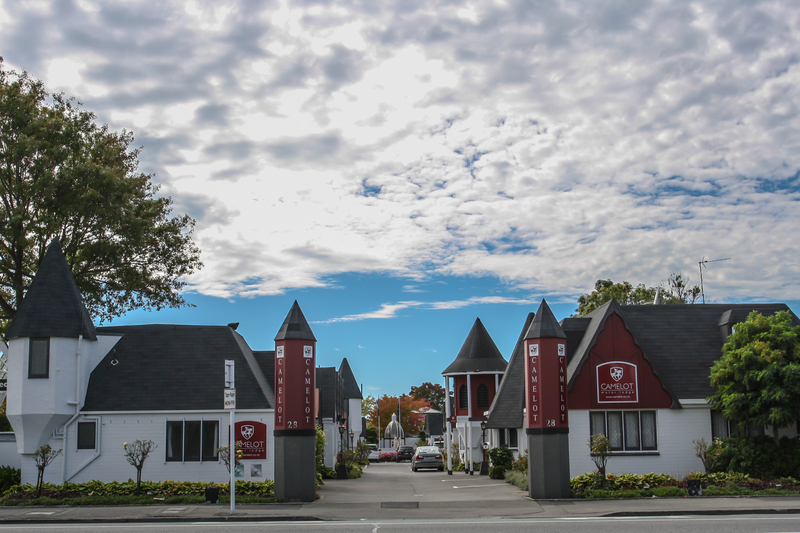 Located on the main route into Christchurch from the north and the south, close to Hagley Park and the centre of town. Driving in to town from the North you will be on the Main North Road which blends in to Papanui Road.The Camelot is the last motel on the left before Bealey Avenue and is opposite Liquor King and the Shell Service Station. Driving in to town from the South you will be on Blenheim Road and turn left on to Deans Avenue at Hagley Park. Drive down Deans Road through the Riccarton Road roundabout and turn right on to Harpers Avenue and drive along here until you reach the Bealey Avenue lights where you will go straight ahead and then turn left on to Papanui Road. There is a Burger King on the corner of Papanui Road and Bealey Avenue. Camelot Motor Lodge is the first motel on the right and opposite Liquor King and the Shell Service Station. Driving from the Airport continue straight through the roundabout and down Memorial Avenue and on to Fendalton Road until you come to Hagley Park where you turn left in to Harpers Avenue. Continue driving until you come to the Bealey Avenue lights where you will go straight ahead and then turn left in to Papanui Road. There is a Burger King on the corner of Bealey Avenue and Papanui Road and the Camelot is the first motel on the right and opposite Liquor King and the Shell Service Station.